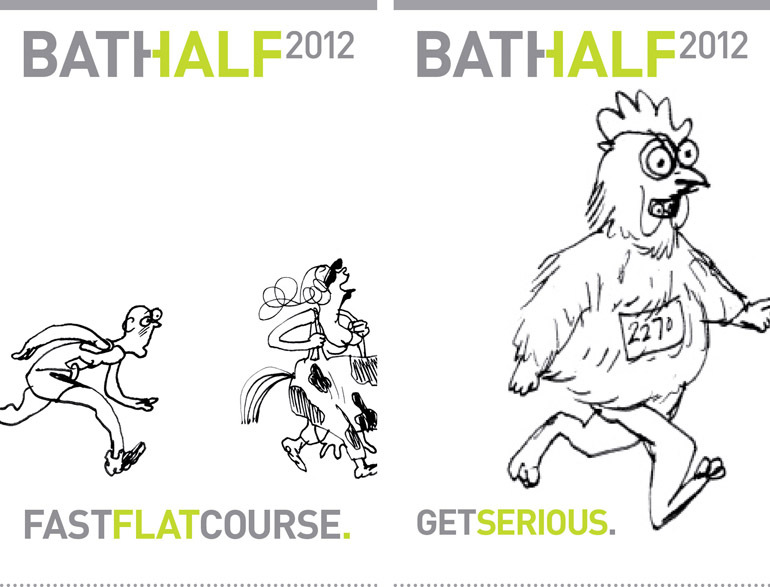 Celebrating its 30th anniversary in 2011, the Bath Half Marathon attracted over 12,000 runners to the streets of the City. 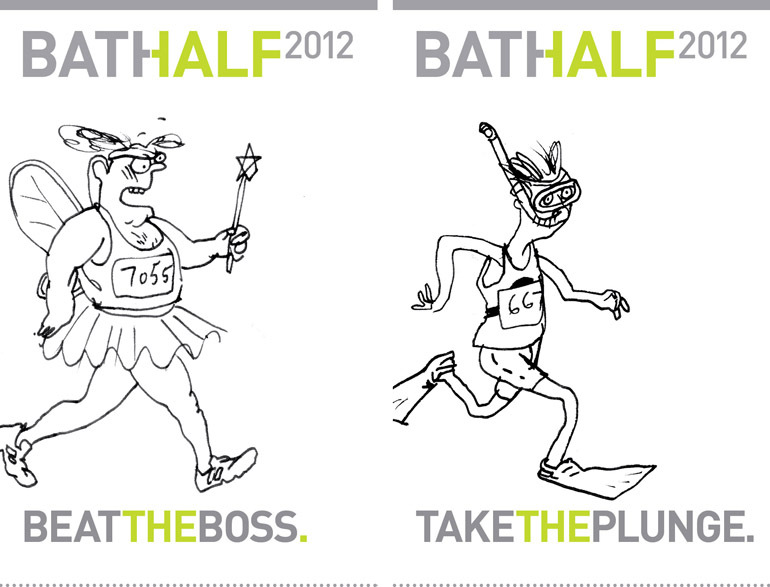 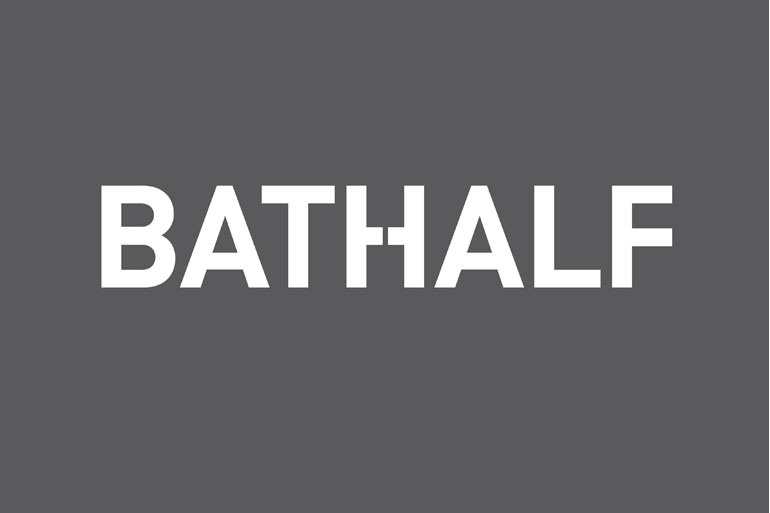 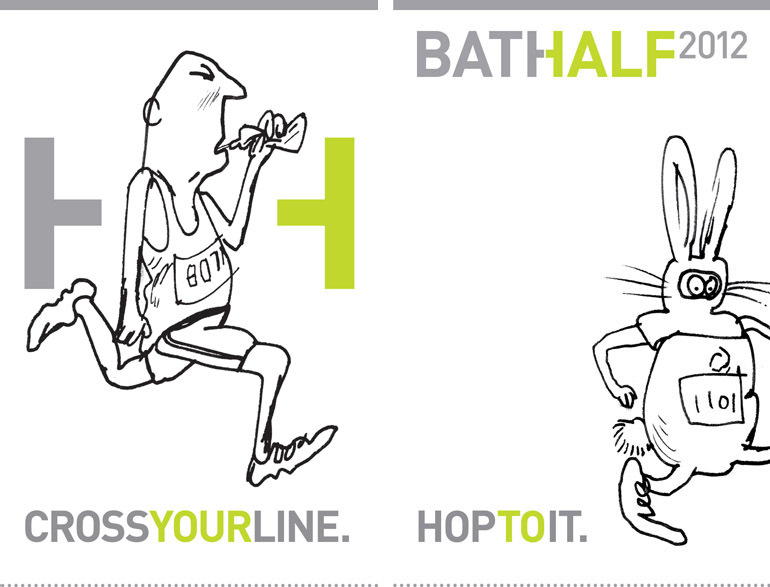 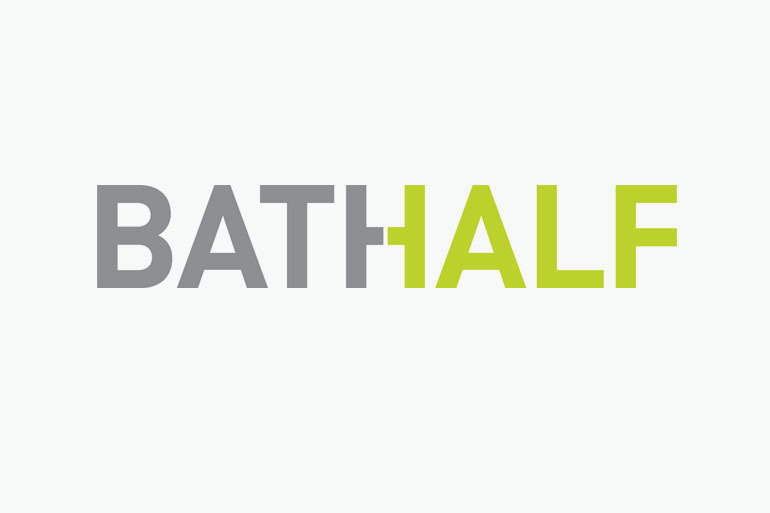 Our challenge in rebranding the Bath Half was to match the event’s ongoing evolution with the great sense of affection felt by everyone involved in the run. 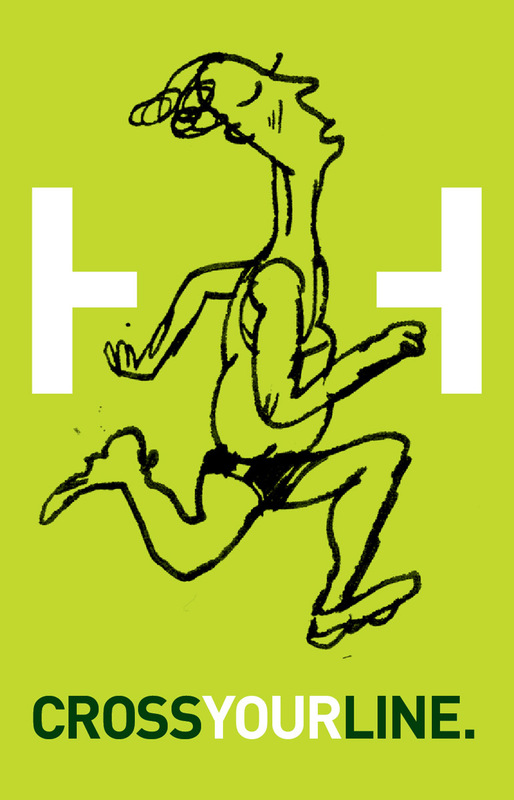 Our solution uses a simple typographic mark, with a hook devised around the meeting of the two H’s, alluding to the finish line when combined with the right imagery. 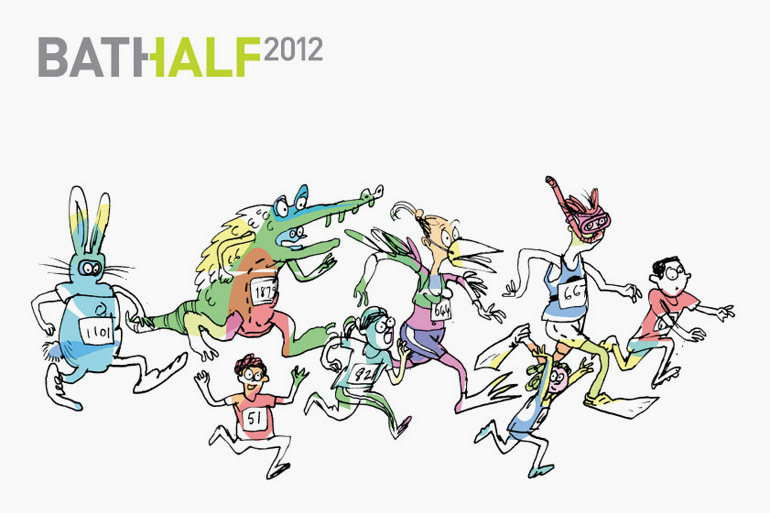 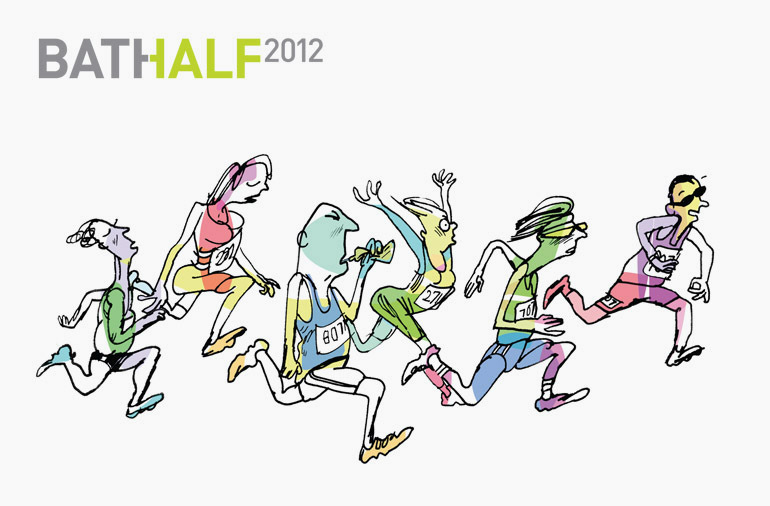 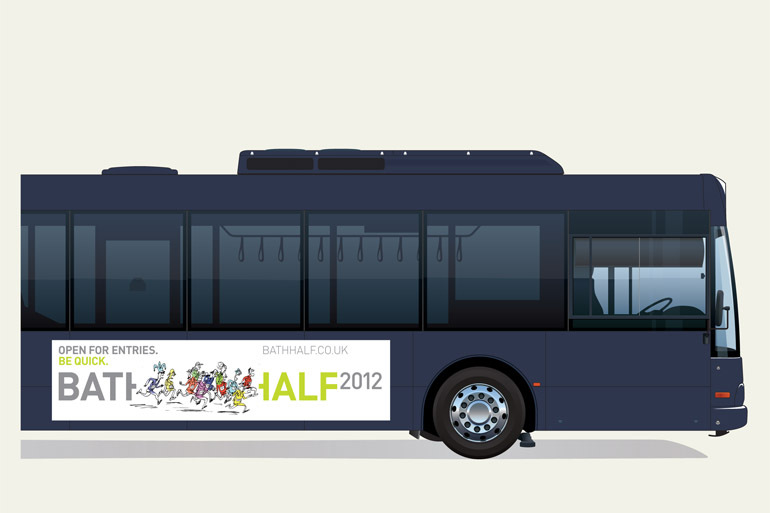 For the 2012 campaign we collaborated with award-winning illustrator Simon Spilsbury. 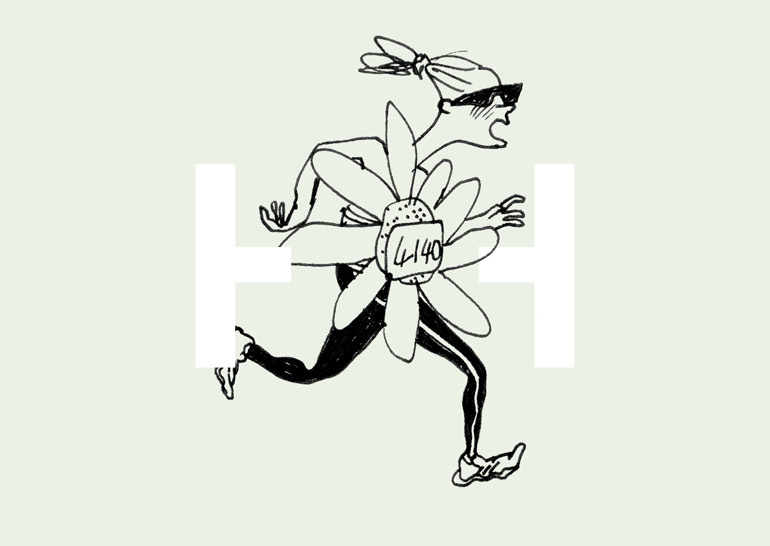 He created a collection of characters which brought the identity to life in a fun, inspiring way that was ultimately all about the spirit of the event and the variety of people who take part.